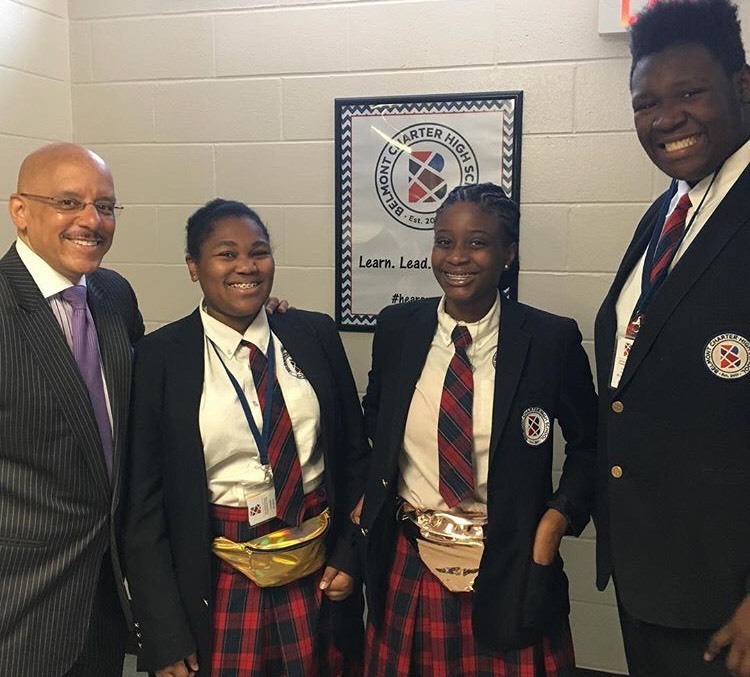 Belmont Charter High School scholars had the honor of speaking with Pennsylvania State Senator Vincent Hughes during a recent visit. Senator Hughes shared stories about growing up in the inner city. The son of a teacher, Senator Hughes now advocates for increased funding for education and improvement of public schools, particularly in urban areas of the state. Senator Hughes emphasized the importance of education to the students and encouraged them to set concrete goals throughout high school and beyond.